Mr. Desai has obtained a post-graduate degree in electrical engineering from the Illinois Institute of Technology. He also holds a post-graduate degree in business administration from Loyola University, Chicago. 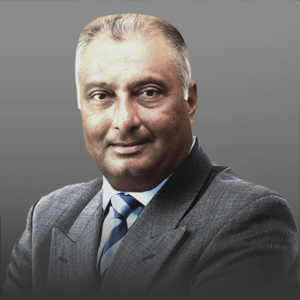 Mr. Desai has over 30 years of experience in management. Prior to joining our Company, he worked at Motorola for over 30 years and has also served as a chief information officer at Motorola. He has also served as general manager of iDEN® Networks & Devices.